Visitors seem to be shocked by the color, and we are asked every day why they are so green. Turns out that its due to high temperatures in July and August, and less frequent water changes due to cost have caused an increase growth of algae. 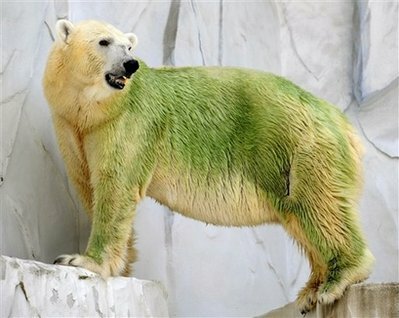 When the algae gets into the bear’s coats, it becomes difficult to remove. 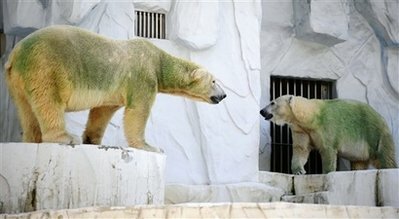 Once it starts to cool off, and the algae start to die due to the cold temperature, the bears color will return to normal.